The Infirmary was established and operated by the Sisters of Charity and in it's final form (after two sites formally on Barrrington street and one on Cobourg Road) was located on Queen Street. Construction began in 1931 and its doors were opened in January of 1933. At the time it cost half a million to build and was a state of the art hospital. The main building featured marble floors and solid brass doors in the main entry. 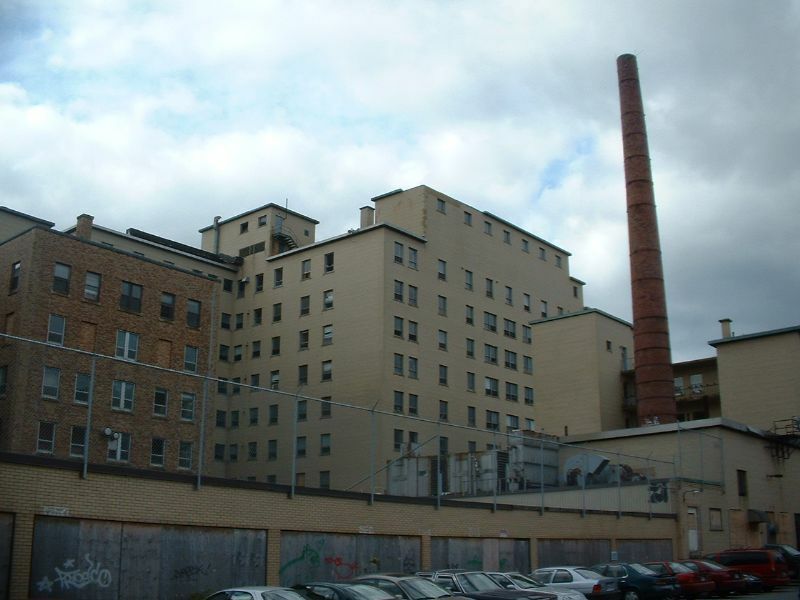 The hospital grew in popularity over the years and more wings were added to the main building and included facilities such as a large auditorium, a gymnasium and pool. As demands became too much for a hospital that was mainly staffed by the Sisters of Charity as care givers, they started a nursing school and also partnered with Dalhousie University to become a teaching hospital. In 1973, the Sisters of Charity signed the hospital to the provincial government. It closed in 1998 when a new Infirmary was opened. Some of the city's homeless began living in the hospital until a couch was set fire in February 2004. Fire officials claimed among those living inside were children and set to board up the windows to cut off access. Demolition began in February 2005. Part of the Old Infirmary site will be used for the new central library. Gerard Hall, the former nurses dormitory will remain in use for Dalhousie University students. Some information (and older photos) regarding the Nursing School the Infirmary used to house. This location's validation is current. It was last validated by Steed on 5/27/2011 4:38 AM. This page was generated for you in 78 milliseconds. Since June 23, 2002, a total of 574164070 pages have been generated.